How do I install Snagit (Mac)? Download snagit.dmg after purchasing or from here. 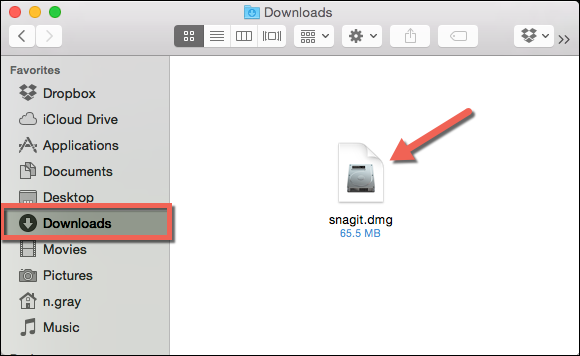 Double-click the snagit.dmg file to open the installer. The installer window appears. Drag the Snagit icon into the Applications folder. 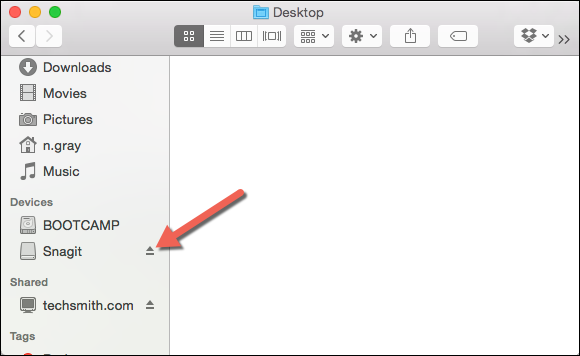 In Finder, click the Eject icon to dismount the Snagit installer. To open Snagit, double-click Snagit in the Applications folder.